Basket Ball Team, William Chrisman High School, Independence, Missouri. Clarence Hunter, Captain (inset). 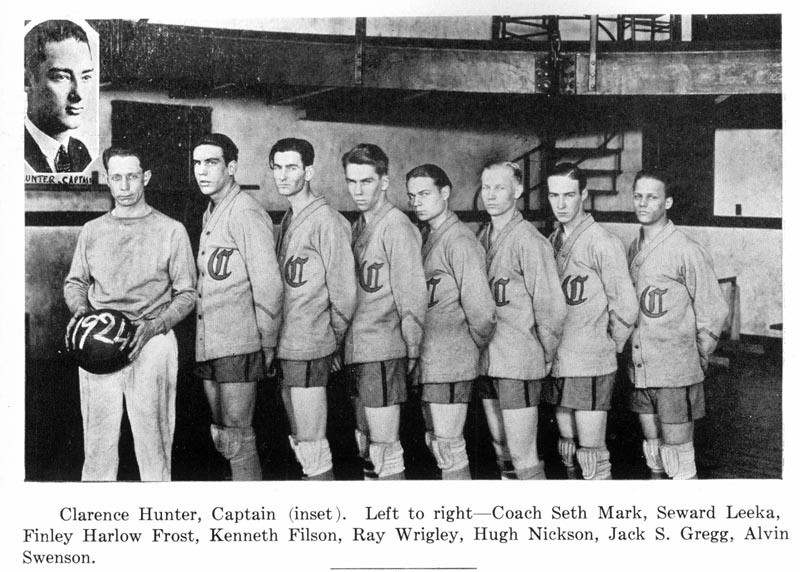 Left to right- Coach Seth Mark, Seward Leeka, Finley Harlow Frost, Kenneth Filson, Ray Wrigley, Hugh Nickson, Jack S. Gregg, Alvin Swenson. 1. The Gleam 1924, Independence, Missouri, page 49.